The fo llowing financial update for May 2018 covers all performance and happenings from the month of April, and is based on the latest valuation date of 5/1/2018. 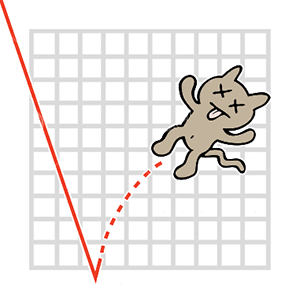 We’ve discussed dead cat bounces here at Sneaky Falcon before, but never in the context of our own portfolio. After a depressing 20% freefall through the first quarter of the year driven mainly by our crypto holdings, things appear to have bounced back? But is it the start of a rally, or a speed bump on the way back down? Posting some solid numbers in the month of April. Back in the double digit overall returns, and we have some serious cash on hand to make some moves. We don’t necessarily have anything in the pipeline at the moment, but having money ready when the opportunity strikes isn’t a bad place to be. Stocks were up 6%, crypto up nearly 20% in the month. I called it a dead cat bounce, but that implies it’s going to continue falling after a momentary rebound. While our portfolio isn’t fundamentally all that different than it was at the beginning of the year, the external markets have started to shift. Crypto went from being king of the world back to a more niche endeavor. Rates are rising, tech is soaring, and bubbles may be looming. But right now our core holdings have stabilized, and we have the chance to buy into additional positions. Stacking up cash like a squirrel hording nuts for the winter. We collected quarterly dividends from two of our more conservative holdings (Fluor & MGM Growth Properties), and also gathered another big chunk of contributions from 4 members. We also exited our Apple call option for a modest profit. Yes, it’s an obligatory “Sell in May and Go Away” chart. You can read the full source article here. 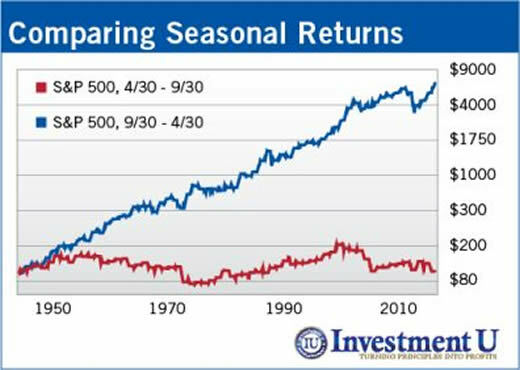 Blue line is if were fully invested October through April, then move to cash for the summer. Red line is the opposite. Proof the saying is accurate, no? As the author points out, if you added a third line that just held the S&P over the same time frame, it would be significantly higher than either of the above. Additionaly, this hypothetical chart doesn’t included dividends, which both these strategies simply miss out on. 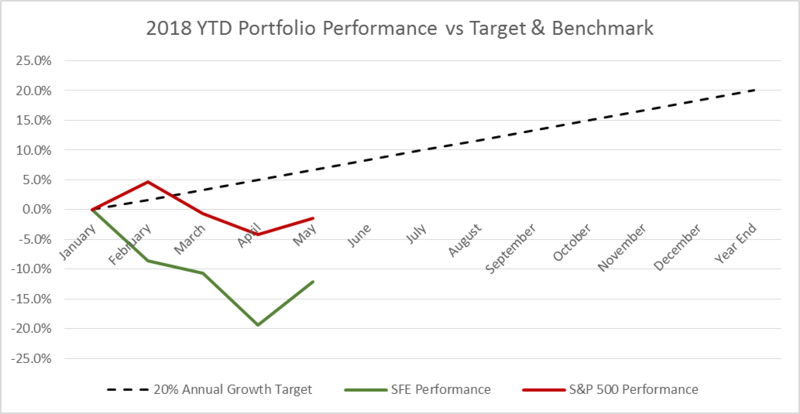 While there is some evidence that a market slowdown through the summer is true over time, there is little reason to try to time the market using that flawed approach.